2014 - We are relocating some old updates from the Home page to here to clean up the appearance of the home page of Stempy's website. We are keeping these updates for historical purposes. 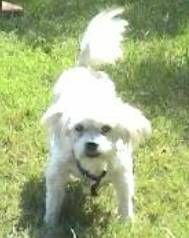 September 30, 2008.....Today marks 3 long years that we have been without our little boy because of the actions and inactions of the WORST vet in Mesquite, Texas and for miles around - Ann Thomas DVM - Rodeo Drive Veterinary Hospital. The Texas Board of Veterinary Medical Examiners - which has to be one of the WORST veterinary boards in the United States - let this BAD vet off the hook. That's par for the course down here in Texas. Well, guess what? We have not and will not, nor will we EVER, stand for it. We continue fighting this corrupt board and it's biased complaint process. The time for change is WAY overdue. We are calling on all of our fellow animal loving Texans to stand with us in this battle. Email us to ask what you can do to help hold BAD vets in Texas accountable for their actions. Onward and upward...in Stempy's name. 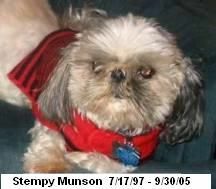 July 17, 2008.....Today would have been Stempy's 11th birthday. It's been 2 years 9+ months since Ann Thomas performed that fateful UNAUTHORIZED surgery - resulting in our beloved little boy's painful death. The pain and the horror is still very fresh in our minds. This BAD vet may have put us in a perpetual nightmare, but our resolve to fight for change and accountability, in Stempy's honor, remains strong. We will fight for change for however long it takes. No animal or person should EVER have to endure what the victims of BAD vets and CORRUPT vet boards have to put up with. 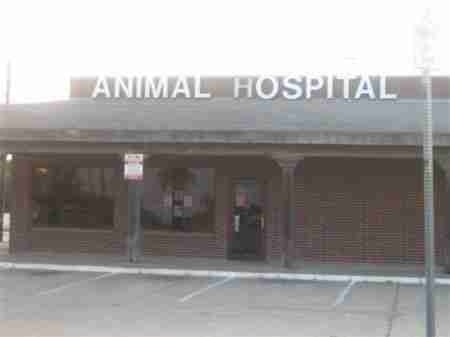 UPDATE 1/31/06: We received a letter yesterday, 1/30/06, from the Texas State Board of Veterinary Medical Examiners stating that our complaint against ANN K. THOMAS, DVM - RODEO DRIVE VETERINARY HOSPITAL - MESQUITE, TEXAS has been received and that the investigation is under way. 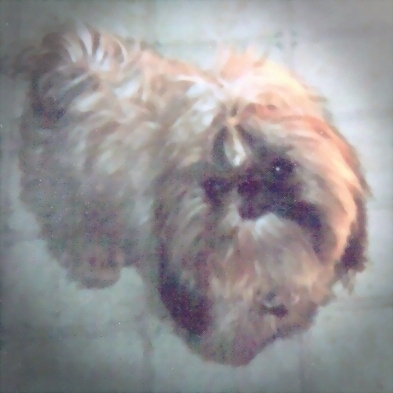 UPDATE 2/08/06: Happy 7th Birthday to NayNay (Renay) - our female Shih Tzu. 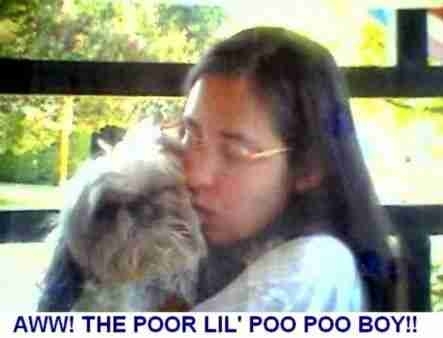 Meet her on the Meet Our Doggies page. UPDATE 2/10/06: This would have been Muffy's 18th Birthday. Happy Birthday Muffy! We love you and we miss you! 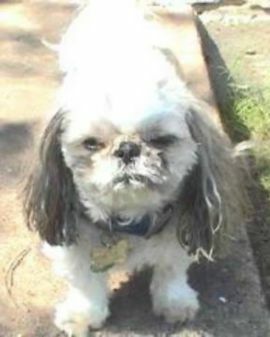 Meet Muffy on the Meet Our Doggies page. 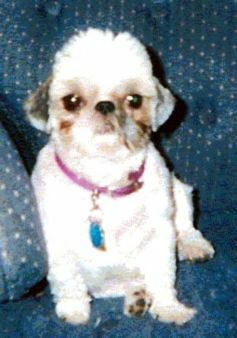 She passed away 11 days after Stempy on 10/10/05. UPDATE 2/13/06: We have received reports of difficulty signing our guestbook. We have gone in and changed some options to hopefully make it easier to post. If you have not yet done so, please do stop by and sign our guestbook. We would love to know that you were here! Also, we have added "page appropriate" music to each of the pages. We hope you enjoy the selections we chose. The music can be easily turned off by pressing the stop button on the player or your browser. We have no news at present to report on our complaint. Thanks for stopping by! Come back soon! UPDATE 2/17/06: We have posted a few more pictures on the Meet Our Doggies page. Take a look! UPDATE 2/21/06: Ann K. Thomas, DVM has 21 days to respond to the State Board regarding our complaint. That 21 day period should now be over. Hopefully we will hear something soon from the investigator assigned to our complaint. We will post information here just as soon as it is received. PLEASE STOP BY AND SIGN STEMPY'S GUESTBOOK! We would love to know that you were here! UPDATE 2/23/06: We have made an informal poll / questionnaire that we would love for visitors to this website to answer. Please visit Stempy's VoteCaster to take the poll. We want your answers! UPDATE 3/17/06: Happy Birthday to my beautiful wife, Cindy Munson - co-author of this website and Stempy's "Mommy" - from her husband, Greg. Take a look at the new page we added recently: Additional Info. 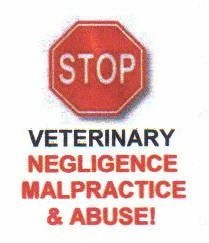 It includes the text of a letter given to us by another local veterinarian that reinforces our claim of Veterinary Negligence on the part of Ann K. Thomas, DVM. We still have no news to report on the status of our complaint filed with the TSBVME . Hopefully soon. 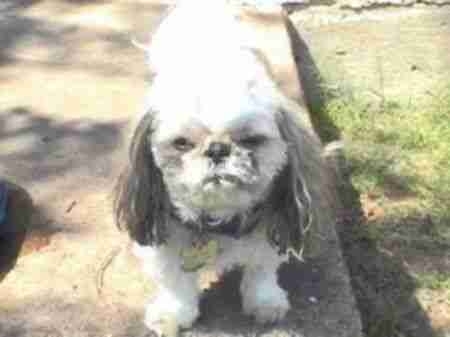 UPDATE 3/21/06: Updated the Meet Our Doggies page with more pictures and added our newest addition, Tempy, to the page. Also added a new About Us page. UPDATE 5/03/06: We received the worst possible news today. The State Board has dismissed our complaint. We are not surprised, as approximately 90% of all veterinary complaints filed with State Boards are dismissed without ever reaching conference level. There is something seriously wrong with the system. It's all here for everyone to see. The Board's job is to protect the public. Since they obviously cannot do their job, we STRONGLY believe the Texas State Board of Veterinary Medical Examiners should be ABOLISHED! This vet got off scot-free! 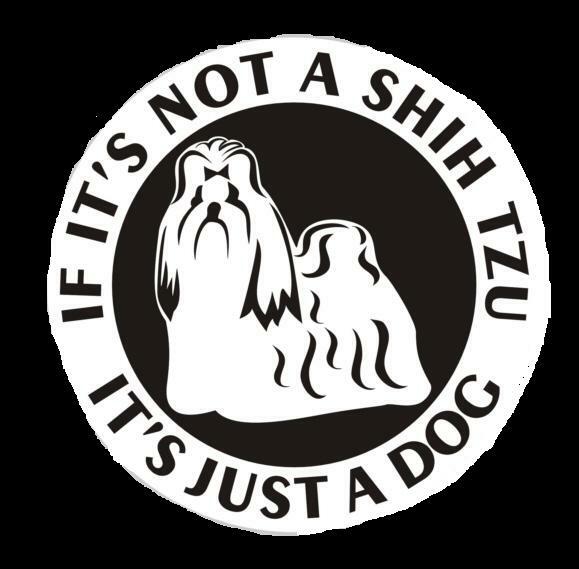 Who is protecting your pets? The answer is......ONLY YOU. It's surely not the State Board, who, in our opinion, regularly lets guilty vets off the hook. What a sad state of affairs. If you are as appalled as we are, write your congressman to complain. Together, we can effect change. For Stempy, and all the other vet victims. We will NEVER forget. UPDATE 5/11/06: We are NOT giving up on our fight for justice for Stempy. We are not allowed to even see the vet's response to our complaint. Through our eyes, she lied in Stempy's records....so why wouldn't she lie to the board? No one from the board ever even called us to clarify any issues (while the complaint was under its original review...we did receive calls from Pete Hartline during the appeal process). This is a travesty of justice! It just further proves that the complaint process in this state is not working in the best interests of the public, but, rather, is working in the bests interests of a guilty veterinarian. The board is, once again, proving incapable of policing their own. There MUST be changes made to this process! We will NOT go quietly! UPDATE 5/24/06: Happy Birthday to Tilly, our female Irish Setter who is now 3 years old! Go to the "Meet Our Doggies" page to meet her! UPDATE 6/26/06: We are still in the "courtesy" appeal process. Dr. Thomas was told to give us copies of Stempy's radiographs, finally. She sent us the poorest excuse for x-rays....a homemade cd-rom where she, herself, took a picture (you can see her fingers in the photo) of the "x-rays." The name can only be made out on one or two of five (should have been 3). They are all fuzzy. They are completely useless in the form sent to us....which, we are sure, was the general idea. What Dr. Thomas has done is tantamount to obstruction of justice. She is just continuing her pattern of deception and lies. Could someone at the Board please WAKE UP and take notice? Sometime or another, the board is supposed to provide us with x-ray film to x-ray film duplicates, since Dr. Thomas will not provide these for us. We figure we will not see those x-rays until it is too late...once a decision has been made. We want the opportunity to examine and have examined the x-rays Dr. Thomas submitted as we have serious doubts about their legitimacy. By the time we finally get our hands on readable radiographs....well, in our opinion, the "fix may already be in...a decision will have most likely been rendered." That sure is how it appears to us....and if this complaint is dismissed again without us having the chance to have usable radiographs examined by a third party, that is completely unfair and utterly outrageous. We will keep you posted as to how all of this unfolds. (UPDATE: 8/7/06 - Yes, the complaint was dismissed again without us having the opportunity to have the radiographs examined. COMPLETELY UNFAIR! ) 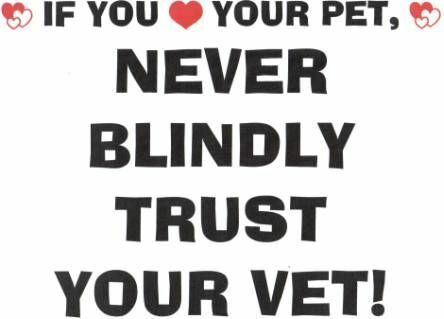 WE STRONGLY FEEL THIS PROCESS IS GEARED TOWARD PROTECTING VETS, NOT OUR BELOVED PETS! UPDATE8/08/06: Today is Ditto's first birthday. Happy Birthday Ditto! Meet him on the "Meet Our Doggies" page. UPDATE 8/12/06: Today is Echo's first birthday. Happy Birthday Echo! Meet her on the "Meet Our Doggies" page. UPDATE 1/04/07: Today is Tempy's first birthday. Happy Birthday Tempy! Meet him on the "Meet Our Doggies" page. UPDATE 2/08/07: Today is Renay's 8th birthday. Happy Birthday Renay! Meet her on the "Meet Our Doggies" page. We also traveled to Austin today to address the Board again. Update soon on Our Vet Board Visit page. 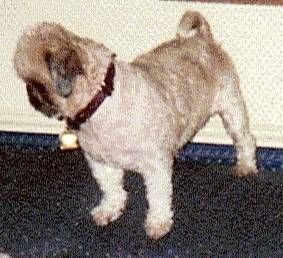 UPDATE 2/10/07: Today would have been Muffy's 19th birthday. We miss you, Muffy! Meet her on the "Meet Our Doggies" page. UPDATE 5/24/07: Tilly turned 4 years old today. UPDATE 8/08/07: Ditto turned 2 years old today. UPDATE 8/12/07: Echo turned 2 years old today. UPDATE 9/30/07: 2 year anniversary of Stempy passing away. See thoughts below. 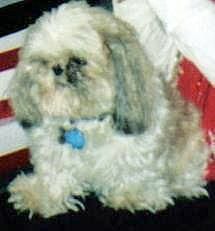 UPDATE 10/10/07: 2 year anniversary of Muffy passing away. See thoughts below. UPDATE 1/4/08: Tempy's 2nd Birthday. UPDATE 2/8/08: Renay's 9th Birthday. UPDATE 2/10/08: This would have been Muffy's 20th Birthday. We love & miss you, Muffy! UPDATE 5/24/08: Tilly turned 5 years old today. UPDATE 7/17/08: Stempy's 11th birthday. See update above. UPDATE 8/08/08: Ditto's 3rd birthday. UPDATE 8/12/08: Echo's 3rd birthday. UPDATE 9/30/08: 3 year anniversary of Stempy passing away. 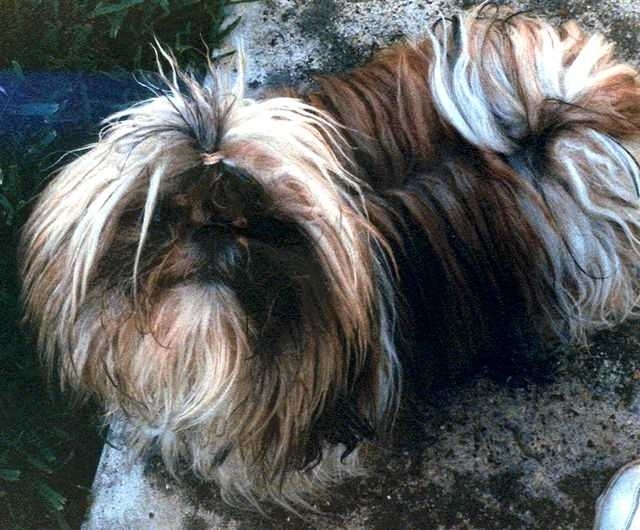 UPDATE 10/10/08: 3 year anniversary of Muffy passing away. UPDATE 1/4/09: Tempy's 3rd Birthday. UPDATE 2/8/09: Renay's 10th Birthday. UPDATE 2/10/09: This would have been Muffy's 21st Birthday. Below is an email we received today, 9/30/2007, from Julie Catalano, of the Veterinary Abuse Network. Also, included is my (Greg Munson's) response. It sums up today pretty well. Greg and Cindy, I know today is Stempy's anniversary, and I just wanted to let you guys know I'm thinking of you. Anniversaries are so hard; they don't seem to get any easier either. Please know that you have honored Stempy in every way possible with your ceaseless efforts to get justice not only for him but for all vet victims. Although I wish we had never had to meet, I'm certainly glad and grateful to know you. Thank you for everything you do for the animals and for this cause. Anyway, I awoke today at 700am when Cindy called me from work. Ditto was asleep right where Stempy would have been. Well, that day two years ago, Stempy last rested on the pillow on top of the milk crate that is still next to our bed. The pillow that was there, it's buried with my little boy. I have one more like it that has taken the other pillow's place. The two pillows already had great sentimental value anyway....they belonged to my parents in the 70's and were given to me in the 80's. Ditto and Tempy both use it now to sleep on....like Stempy did. I got off track there.....anyway after Cindy called this morning I was awake that entire time....those 2 hours. I called Stempy's name today. Told him how much I missed him. Then I was seemingly ok until Cindy came home around 330pm....then it hit me. Man, crying really drains me...saps my energy. I'm a grown man...but thinking about my little boy gets me everytime. Julie, we should have had at least 6 or 8 or more good years left with Stempy. 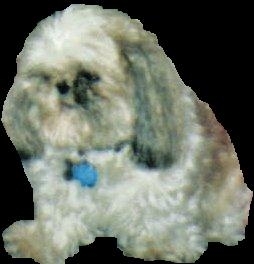 Muffy, we miss you, love you, and think about you often. You were so devoted to us for so long - and it was just you and your Daddy, Greg, for 9 years until the family grew. I remember the days when you and I were living with my parents and I would come home and there you were....looking out the front door patiently waiting on my return. You loved to ride in the car and for many years your favorite spot was right in my lap. Every time I open the refrigerator, I expect to turn around and see you right there......you never once missed the refrigerator opening. 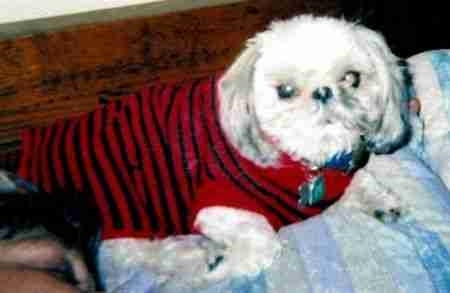 I miss you greatly, Muffy, and so does everyone else. You kept me company during those lonely years before I met Cindy. Then you kept us all company. Muffy, I hope you know how very much we love you and miss you. Someday our family chain will link again. Love you! Your Daddy, Greg. Copyright © 2006 - 2014. Greg and Cindy Munson. FOR STEMPY. All Rights Reserved.